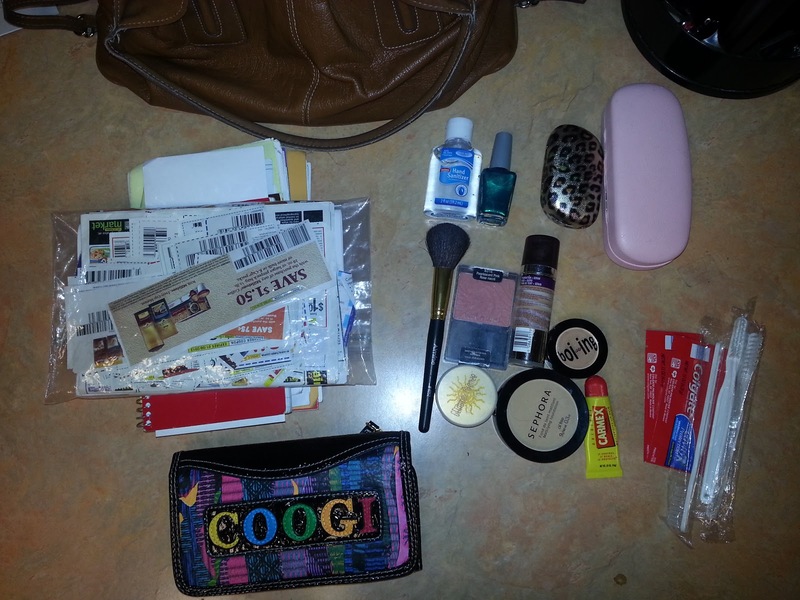 Love, Christin | A Lifestyle Momprenuer Blog: What's inside your bag? So I saw Ricci & AunieSause post about "What's in your bag", & since I'm currently in the process of giving my purse to a good friend who has wanted it for so long for Christmas (I'm so nice (&cheap)! haha) so I decided to post about mine! I'm linking up, you should too! 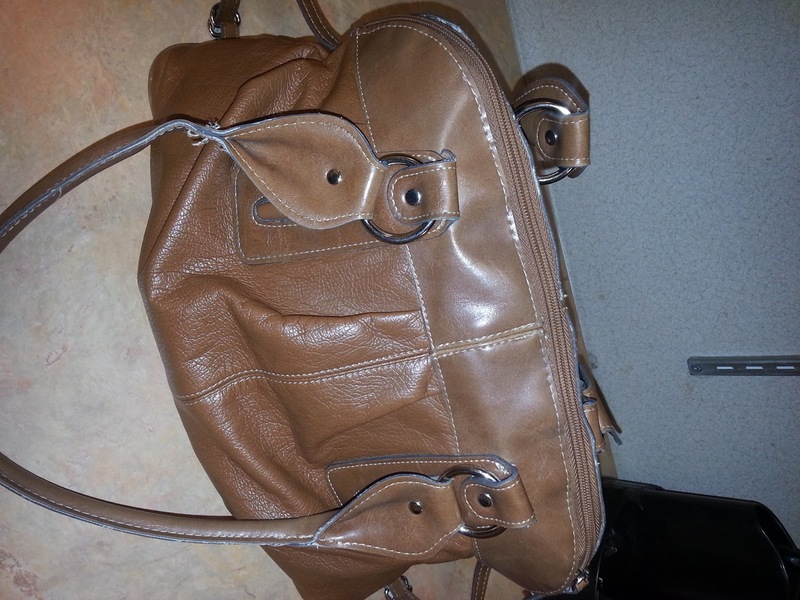 This purse cost me $1.00 at a yard sale! 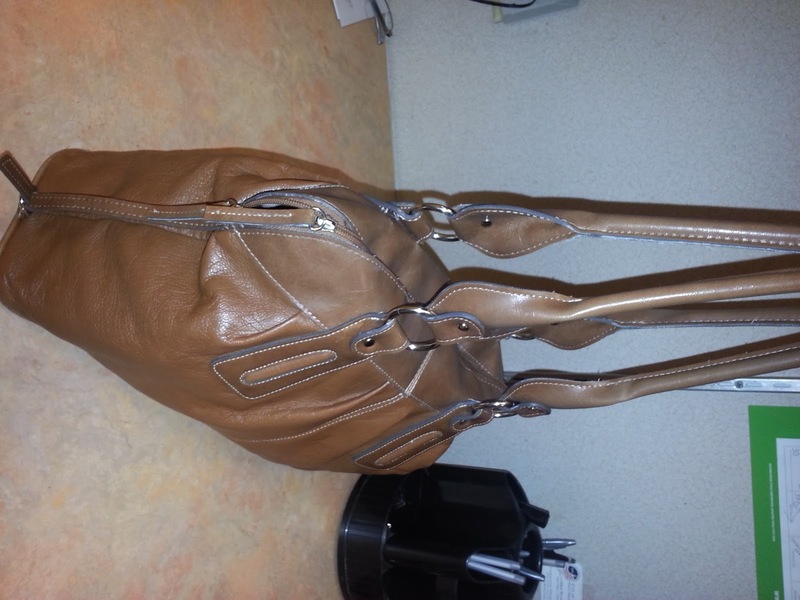 It's an Emilie M. bag, and I've had it for almost a year now & it hasn't let me down yet! 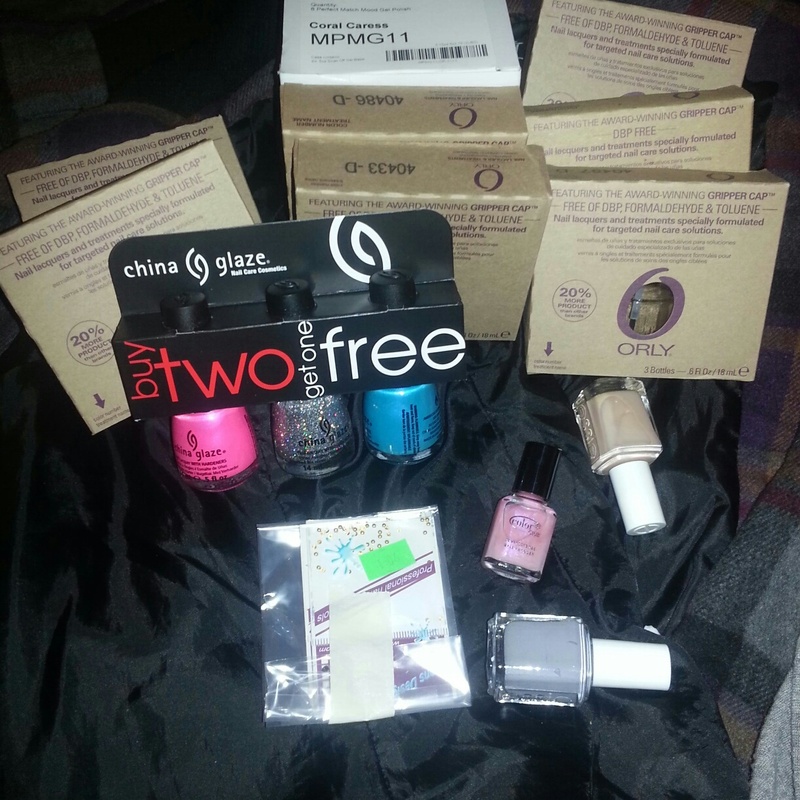 coupons&notes, wallet, make-up, hand sanitizer, nail polish, glasses and contact cases, and toothbrushes from work! 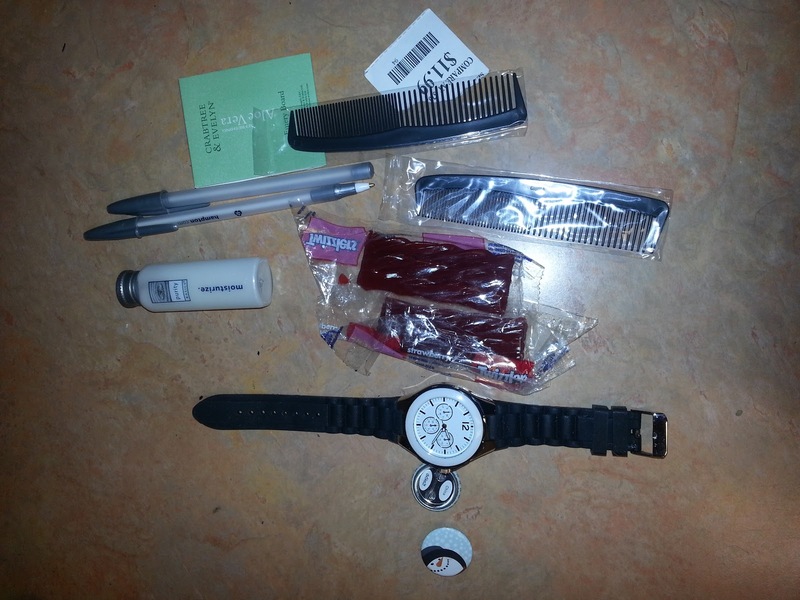 A Watch from Walmart, JC Penney buttons, lotion, combs, pens, and emery boards all from work! 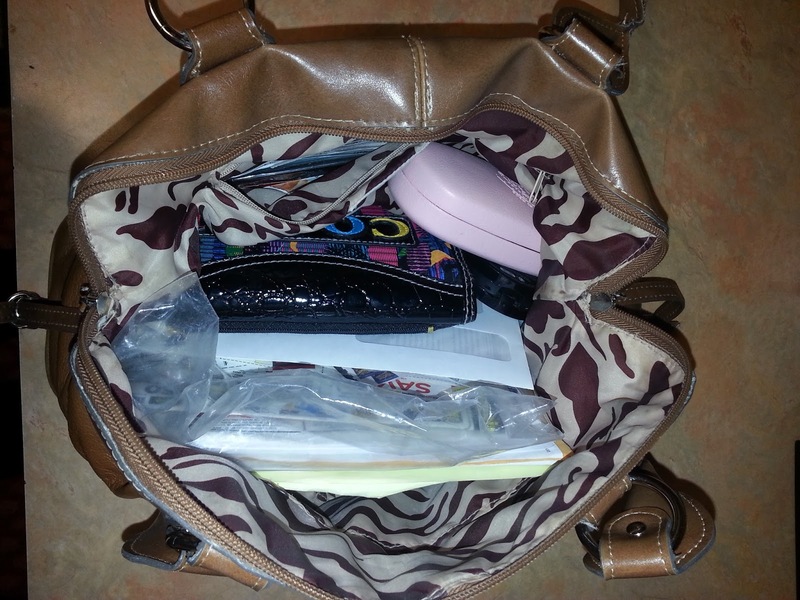 & Of course I have to have a snack in my purse! 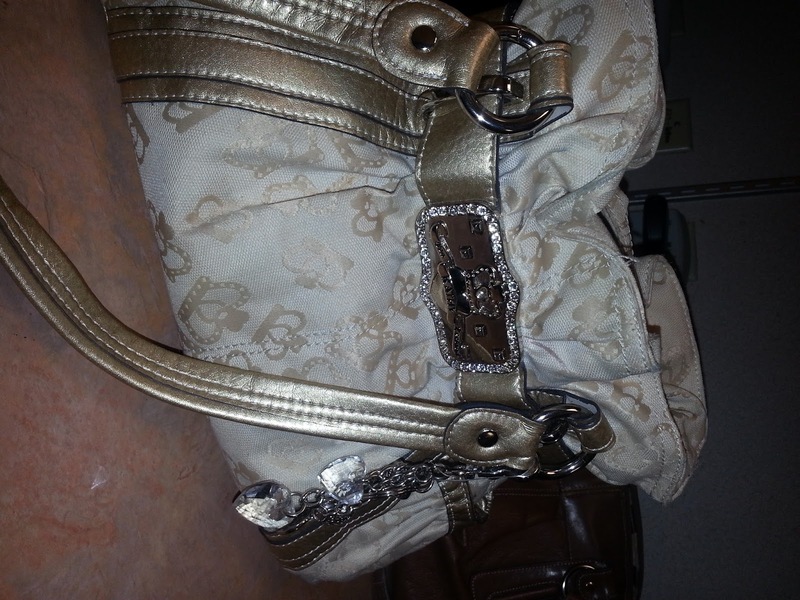 && Last but not least, I'm switching to this purse I got for Mother's Day used it a handful of times. Who knows I might even get a new one for Christmas?! I also wanted to show you what I got in the mail today! Thanks for linking up! I loooooove the Kathy Van Zeeland purse!